If your child’s vision keeps getting worse, it’s more than an annoyance – it can be a serious risk factor for their eye health and vision in the future. 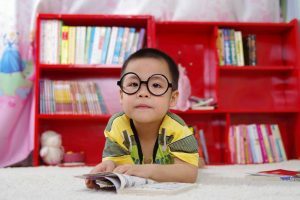 The best strategy for myopia control depends on the child and the severity of the case, and requires consultation with an experienced eye doctor in order to determine the best solution. If your child wears glasses, make his or her vision a priority. Schedule annual eye exams to ensure stable vision. This helps ensure a lifetime of healthy sight.